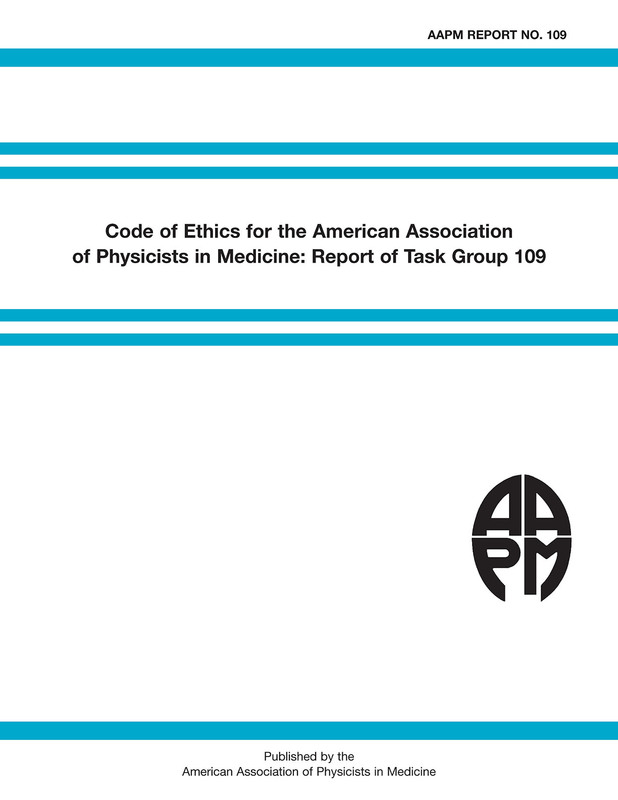 A comprehensive Code of Ethics for the members of the American Association of Physicists in Medicine (AAPM) is presented as the report of Task Group 109 which consolidates previous AAPM ethics policies into a unified document. The membership of the AAPM is increasingly diverse. Prior existing AAPM ethics polices were applicable specifically to medical physicists, and did not encompass other types of members such as health physicists, regulators, corporate affiliates, physicians, scientists, engineers, those in training, or other health care professionals. Prior AAPM ethics policies did not specifically address research, education, or business ethics. The Ethics Guidelines of this new Code of Ethics have four major sections: professional conduct, research ethics, education ethics, and business ethics. Some elements of each major section may be duplicated in other sections, so that readers interested in a particular aspect of the code do not need to read the entire document for all relevant information. The prior Complaint Procedure has also been incorporated into this Code of Ethics. This Code of Ethics (PP 24-A) replaces the following AAPM policies: Ethical Guidelines for Vacating a Position (PP 4-B); Ethical Guidelines for Reviewing the Work of Another Physicist (PP 5-C); Guidelines for Ethical Practice for Medical Physicists (PP 8-D); and Ethics Complaint Procedure (PP 21-A). The AAPM Board of Directors approved this Code or Ethics on July 31, 2008. This report has been retired - see the revised 2019 Code of Ethics.